The industry leading .NET charting component available for WPF. Ever wondered if you can have advanced data visualization and fast real-time charting in your WPF applications? 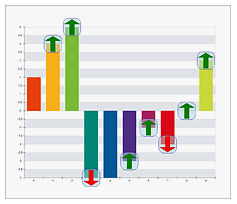 Nevron WPF Chart sets the standards in WPF charting by delivering industry leading charting feature set, performance, rich interactivity features and impressive visual looks. 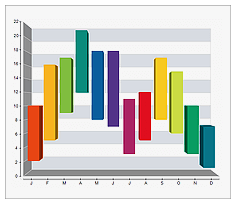 The WPF Chart component supports virtually all 2D and 3D charting types and is suitable for a wide range of applications including business, scientific, statistical, financial, real time monitoring, measurement, BI and others. 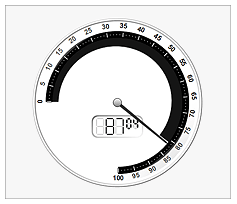 In addition it also allows for the visualization of instrumentation panels, such as Linear and Radial Gauges, numeric displays and state indicators, making it suitable for the display of KPI’s or the creation of digital dashboards. Ability to leverage the video board hardware acceleration. The control delivers unmatched performance and is suitable for a wide range of real time monitoring and other performance critical applications. Unmatched interactivity features – the control supports interactive data zooming, data panning, data stepping, data scrolling, tooltips, hit testing and others.